Anthem’s release date is just shy of two months away, and we finally know what kind of rig you’ll have to have in order to run it. 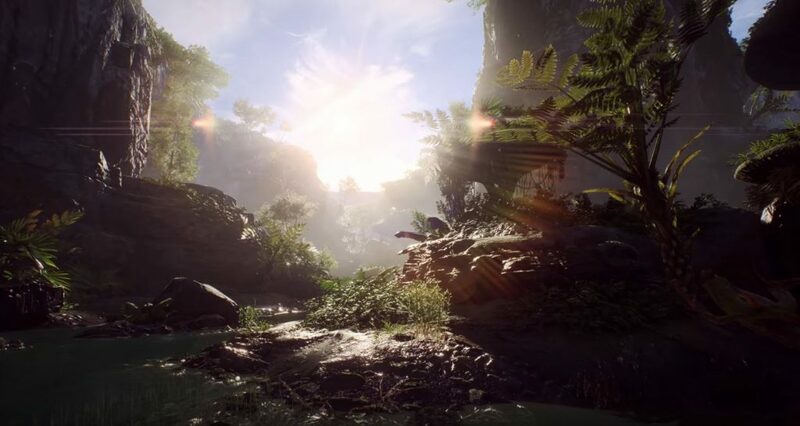 EA have revealed the minimum and recommended system requirements for the PC version of Anthem, and it’s pretty much what you’d expect from a game of this scope and caliber. They’ve also released a new video during CES 2019 in cahoots with Nvidia, showing off new pretties, mostly. You’ll probably want to mute the video, though. There’s a guy talking over it in the most off-putting marketing voice he could muster. It’s really dreadful. It’s the polar opposite of what trailer voice-overs should be. Just trust me on this one. The video itself is nice. If you’ve been keeping an eye on all the footage they’ve relelased, you’ll notice some new environments here, along with new enemies and even new Javelin exo suits. It’s a short trailer, but there’s a lot going on there, at least if you’re familiar with the game. Pretty standard stuff, that there. As usual, the second rig doesn’t mention what kind of output it’s supposed to achieve. Is it 1080p, 4K? Is it 60 fps or 120? What kind of graphical settings preset is it supposed to run? A machine like that should be able to push out 1080p at 60fps and high settings, but it’s probably going to struggle with anything above that. Guess we’ll have to wait for the reviews to see.